Academic Extension at the Baker Downtown Center. 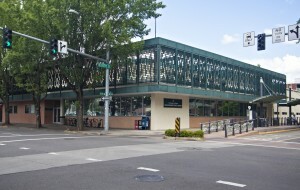 975 High Street, Eugene, OR. 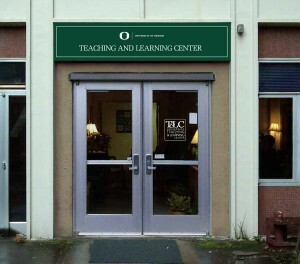 Academic Extension (AE) partners with UO schools, departments, centers, and institutes to plan and implement new programs. AE engages in strategic planning to grow existing programs, conducts market scans to assess new program viability, and serves as a central communication point for cross-unit programs. AE’s Instructional Designers—professionals who have completed advanced study in pedagogy—work intensively with faculty, supporting their instructional goals by designing engaging course sites and authentic assessments within the university LMS and other platforms. AE offers registration and payment services for both credit and noncredit educational experiences. It has a fully staffed Graphics and Communications group that works with program partners to design custom communications plans for individualized program marketing. AE also collaborates with stakeholders from the community to plan and implement new programs that bridge between UO and the community. AE takes an entrepreneurial approach to the higher education marketplace, delivering UO’s world-class content to audiences both near and far. 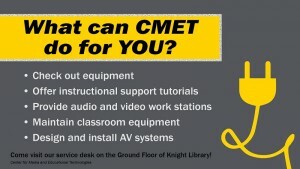 CMET services are located on the lower level of Knight Library. The Center for Media and Educational Technologies (CMET) in the UO Libraries supports the physical and virtual learning environments at the University of Oregon. 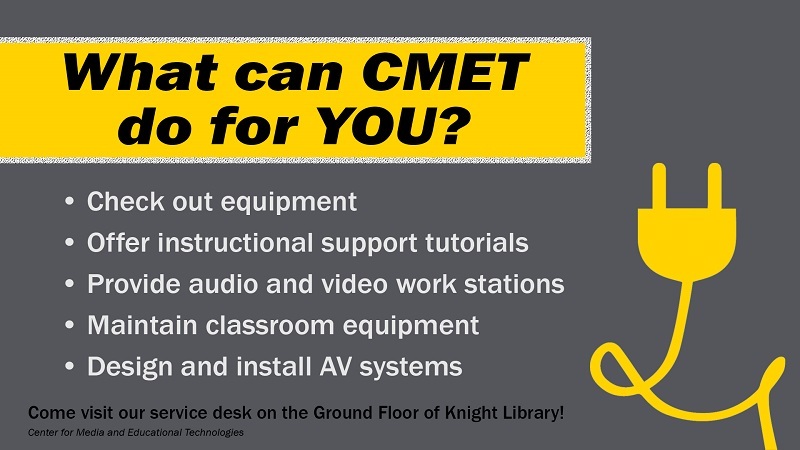 CMET provides classroom technology design and maintenance, educational video production, streaming media services, learning management system (Blackboard, Canvas) and instructional technology support for teaching/learning, research, public service, and outreach. Facilities include professional video and audio production studios, an educational videoconference/distance education studio classroom, and active learning classrooms. 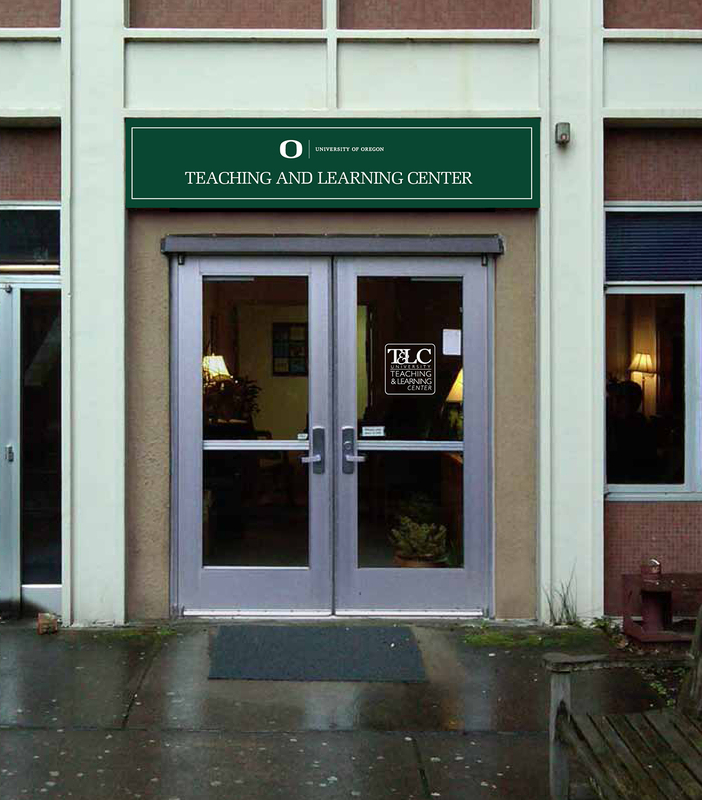 Services include: Instructional Technology Support and Workshops for Faculty and GTFs (Canvas, iClickers, Instructional Design, Document scanning and related digitization services for integration into Canvas); Classroom Technology Support (equipment training and support, audio/video equipment checkout for instructional purposes by students and faculty); Design, maintenance and refresh for technology in UO’s general pool and joint control classrooms; Design and installation services for audio/visual/presentation systems campus wide; Video Production and Streaming Services (videoconferencing and streaming media support, live and on-demand event streaming and recording, professional video production services, media production for local, state and federal agencies and non-profit organizations on a fee-for-service basis, point-of-origin Vyvx connection, video access to satellite uplink, and ISDN codec for broadcast-quality radio interviews). CMET support requests for AY 2014-15. CMET received 4019 support requests in AY 2014-15; the vast majority of these were for a general category of educational technology support, followed by requests for classroom technology support. There were also 130 video production requests. 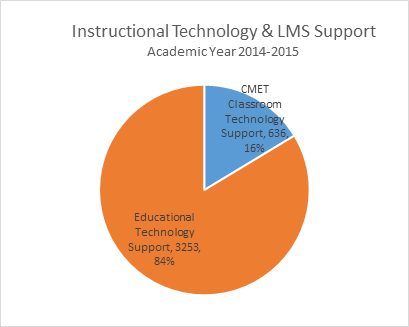 The majority of educational technology support requests involved the learning management systems CMET supports (Blackboard and Canvas). CMET partners with the Teaching Effectiveness Program and the Yamada Language Center (YLC) to run the Working Group on Active Teaching and Learning, an idea inspired by the UO Steelcase LearnLab Pilot Project, which has built several technology-rich, pod-style classrooms on campus (YLC controlled rooms of Pacific 115, 199, and 122, as well as CMET controlled Proctor 41 and 42). In March 2015, an Instructional Designer joined the CMET staff. This individual will work in conjunction with GTFs and other staff members to provide integrated instructional support services, connecting Canvas design with the broader educational technology experience, supporting the physical and virtual learning environments across campus. Many of CMET’s support requests this year were for LMS support, given the scale of the Canvas migration. 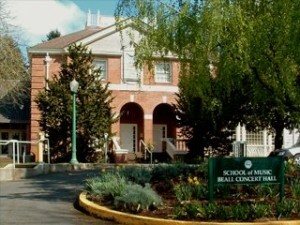 CMET administers the enterprise Learning Management System at UO, currently managing the transition to Canvas. Canvas, the learning management system chosen to replace Blackboard, was launched in Spring 2015. Blackboard continues to run until September 30, 2015. Canvas usage accounted for approximately 25% of all learning management system usage during the Spring quarter. Over 12,000 students and nearly 500 faculty members and GTFs in 619 credit courses (CRNs) used Canvas in this term. CMET reports that anecdotal commentary has been generally very positive and in line with faculty and student feedback received during the Spring 2014 Canvas pilot. 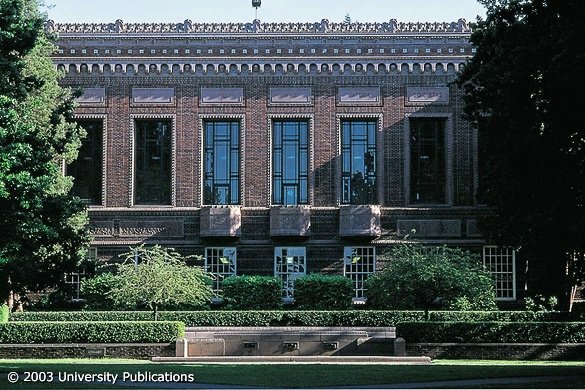 Originally, the University of Oregon contracted to have 8,000 courses migrated from Blackboard to Canvas: one full year’s worth of courses plus the non‐credit course web sites currently hosted in Blackboard. In response to faculty demand, CMET has increased the number of “automatic” migrations from 8,000 courses to 21,000 courses. The majority of the credit courses will be completely migrated by July 2015. For detailed status, as of 6/05/15, please see the Canvas Migration Project Status Update. 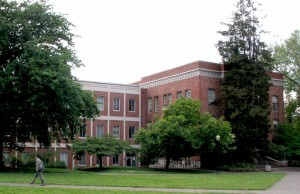 CASIT is located in McKenzie Hall, Room 441. The College of Arts and Sciences Information Technology (CASIT) is “committed to creating an environment where technology allows our faculty, graduate students, and staff to achieve the highest standards of academic inquiry, learning, and service.” To support this mission CASIT provides a range of IT services to CAS faculty, staff, and GTFs, including personal computing hardware and software (help desk, computer replacement and purchasing, secure network storage, subsidies for new faculty, and instructional laptop checkout), web programming and server support (website and web application design, development and management), training on campus related IT services and software (Canvas, WordPress/Edublogs, Qualtrics, and Google Apps for Education, among others), and remote testing/proctoring services to departments conducting online courses. In addition, the Social Science Instructional Labs are available to assist students, staff, and faculty with innovative instructional technology applications in the social sciences, such as a two-station visualization lab as well as GIS and multiple-regression analysis software. The Data Services Lab offers free data services to faculty and students, including secure access to US Census, and Inter-university Consortium for Political and Social Research (ISCPR) data. CASIT also provides scientific computing access and support on ACISS, the university’s high performance computing cluster. For fuller details on CASIT services, please consult the CASIT Technology Support Services 2014-15 document. The College of Education’s technology services are located in HEDCO, Room 111. 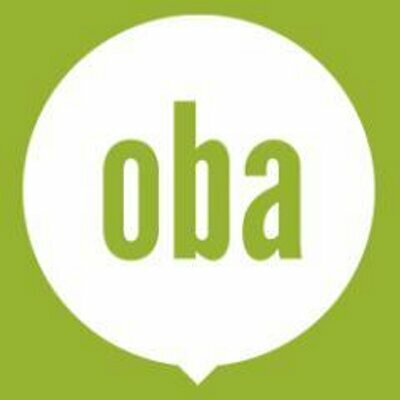 The Office of Global and Online Education in COE provides customized professional development programs at both the K-12 and post-secondary levels for educators worldwide and houses the Oba online learning platform initiative. 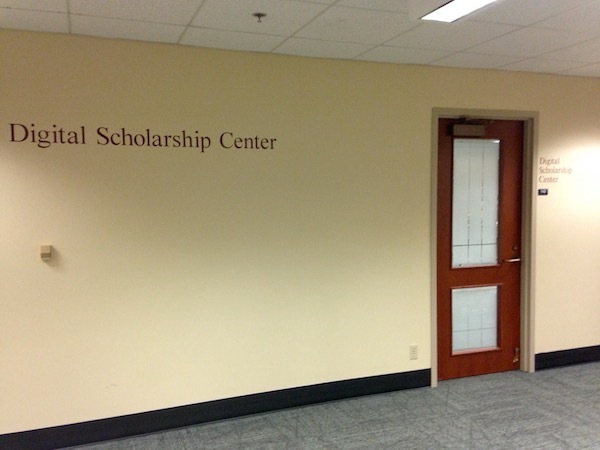 The Digital Scholarship Center is located in Knight Library, Room 142. Don’t be fooled by the simple exterior–there’s a TARDIS (and lots of other goodies) inside! The Digital Scholarship Center (DSC) collaborates with faculty and students to transform research, scholarly communication, and instruction using new media and digital technologies. Services include web design and development, digital research software consultation and training, interactive media development, digital exhibits, digitization, metadata, digital preservation, digital asset management, and copyright assistance for research and publishing. The DSC also provides workshops, a digital sandbox lab, and open access repository and publishing services. DSC supports research software applications not provided by other units on campus. These include Text Encoding Initiative (TEI), topic modeling, Twitter archiving among many others. Software support is targeted (needs-driven) and primarily for faculty. Applications are supported through individual workshops and a digital sandbox. Workshops are provided on-demand to address topics that are not discussed elsewhere on campus, such as physical computing with Arduino and fair use in research and scholarship. The digital sandbox space is for faculty to experiment with software on a trial basis. It is a low-cost initiative (2 computers running 3 systems, server space that can be turned on or off at will). 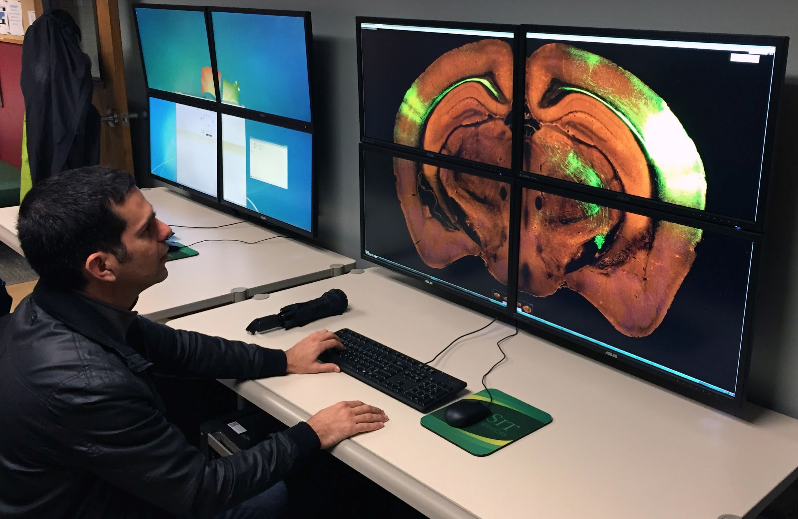 The graduate credit courses and affiliate program offered by the DSC were designed to fit the need to help current UO graduate students develop innovative digital research skills. 100% of graduate students who have worked with the DSC through this program have been hired into their chosen field within 1 year of graduation. The InfoGraphics Lab is a mapping and geospatial innovation center housed in the Department of Geography. The InfoGraphics Lab provides research and instructional support to faculty, staff, and students across campus through the application of innovative geospatial technologies, cartographic design, and geographic information science. Service support includes cartography, atlas design, data visualization, geospatial analysis, campus mapping, mobile and web application development, and consulting for faculty research proposal development. The InTRO office is currently located in Knight Library, Room 147A. 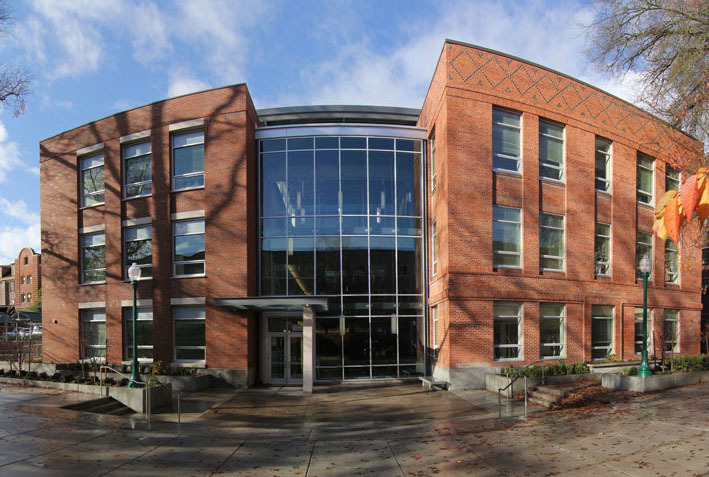 The Instructional Technology Referral Office (InTRO)–a partnership between Academic Extension and the UO Libraries–is a first-stop resource designed to support faculty access to educational technologies within a decentralized environment. InTRO assesses the needs of each client in a holistic fashion, and then ensures that appropriate and speedy connections are made with service providers across UO. InTRO also conducts institutional research, and regularly partners with other units to implement emerging technologies in ways that bring benefit to University faculty. For more information or an overview of referrals in AY 2014-15, see About InTRO or InTRO Referrals. LCB’s Business Technology Center is located in Chiles Hall, Room 326. The Information Services Instructional Technology staff serves Lundquist College of Business faculty, staff, and GTFs by providing classroom technology support throughout the LCB complex including hardware/software service and repair (for LCB owned systems), and videoconferencing services. 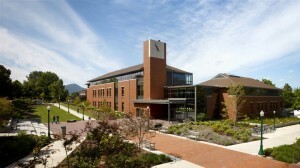 The Business Technology Center, located on the third floor of Chiles, is the central computer lab and technology resource hub for the college and is focused on enhancing the learning experience of students. LCB has recently begun implementing a Virtual Desktop Infrastructure program and is now utilizing BlueJeans for web conferencing. Click here to read more [PDF]. The Oba group can be found in HEDCO, Room 230. Audio, video, and web conferencing services are all available. OSUMEETME.VC, providing voice, video & virtual collaborative conferencing services, is a statewide service hosted by Oregon State University Network Services. Faculty, staff, and students at any Oregon university can sign up for services at a discounted rate. 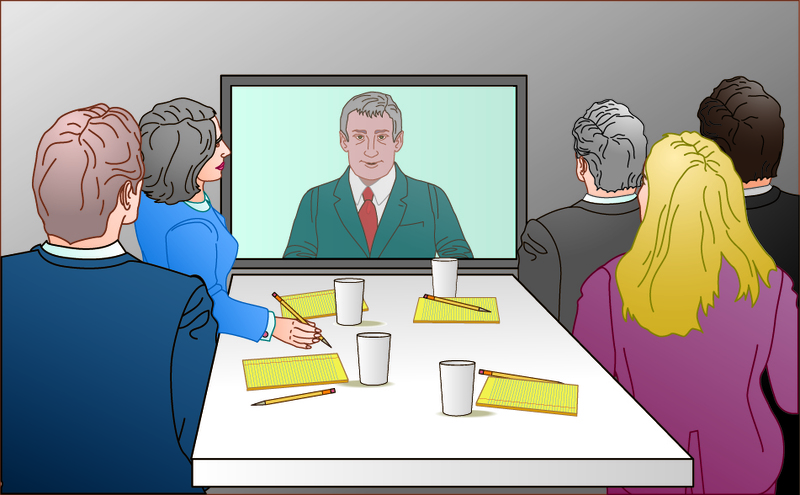 Users can choose to record their audio or video conference, providing a low cost option to archive and distribute to more people for future use. To get started, users can select service options through the OSUMEETME.VC website or contact them by email or phone for a quick and free consultation. 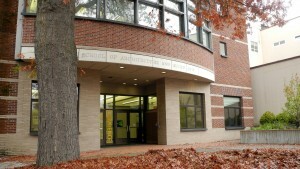 A&AA Tech Services is located in Lawrence Hall, Room 282. A&AA Technology Services (AAATech) offers guidance and support to faculty and students in the School of Architecture and Allied Arts. AAATech can assist A&AA educators with facilitating e-learning principles in their pedagogical pursuits via digital media, internet applications, mobile devices, and traditional computing technologies. The department manages three instructional labs and two open labs for the school. Technologies and services include: Large format draft and production printing; 3D printing; Vinyl cutting; and Audio lab support. Faculty are the core of A&AA Tech Services’ support base (not just for pedagogy—in all aspects), but the unit also serves GTFs. The A&AA Educational Technologist makes contact with all new faculty members to assess needs and offer service support. AA Tech Services’ Sean Sharp partnered with Kassia Dellabough to run a Summer 2014 workshop on “flipping” courses for six A&AA faculty – which included a school provided stipend – to attend a weeklong summer foundational course, and then to develop and implement a flipped module within one course taught in AY 2014-15. Participating faculty presented their results to an A&AA all-faculty meeting. AAATech actively supports Active Learning Spaces: Lawrence 222 has two projectors placed at 90 degree angles with a flexible furniture layout and the latest Crestron interface; Lawrence 230 is “a little more dynamic,” as it is easier to re-orient the seating and the room also has multiple projection and display options. In AY 2014-15, AAATech responded to roughly 3500 Help Desk tickets. Of those, about 750 were Ed Tech related (21% of total). These could be range from Course Folder requests (the majority), to classroom support requests, to consulting with Sean Sharp about technology for teaching. Approximately half of the Ed Tech were related to requesting and supporting the shared server Course Folders, which store class materials and student projects. The SOJC Technical Services help desk is located in Allen Hall, Room 319. Support for Apple and Windows PCs in computer labs and faculty offices. Support for printers, scanners, disk drives and all other hardware. Support for all school-owned software. Assistance with school audio and video equipment. Web site design, maintenance, consulting (for SOJC classes and affiliated student organizations only). Student purchasing advice for computers and software. Referral to a vast array of technical resources. Faculty computer purchasing, installation and setup. Technical Services also provides video and audio equipment checkout through the Chambers Electronic Media Center. The Law School’s IT services are located ion Knight Law Center, Room 133. 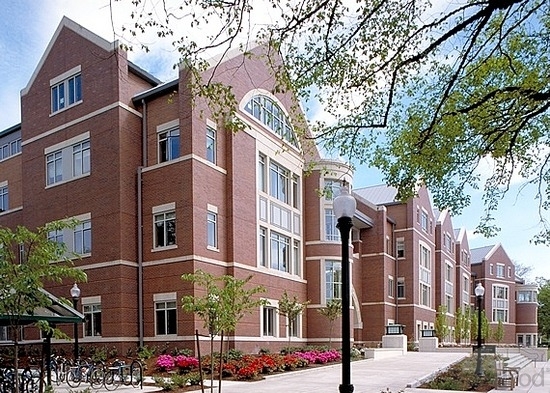 The Information Technology office at the Law School provides a wide range of technology-related services to law school students, faculty and staff. The office creates listservs for each course offered in the law curriculum, maintains the web portal MyLaw, and provisions faculty computers. They also provide multimedia recording services, anonymized testing mechanisms, secure back-ups and file sharing, printing services, and in-house hardware warranty repairs for Apple and Dell computers. The SOMD IT director’s office is located in the Frohnmayer Music Building, Room 219L. The information technology staff in the School of Music and Dance (SOMD) provides IT administration services to SOMD faculty and staff. In addition, customized studio support and video streaming services are provided to support SOMD instruction, practice, and performance by faculty and students. 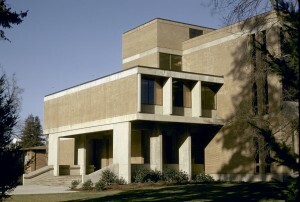 TEP and the rest of the Teaching and Learning Center services are located in Prince Lucien Campbell Hall, lower level. 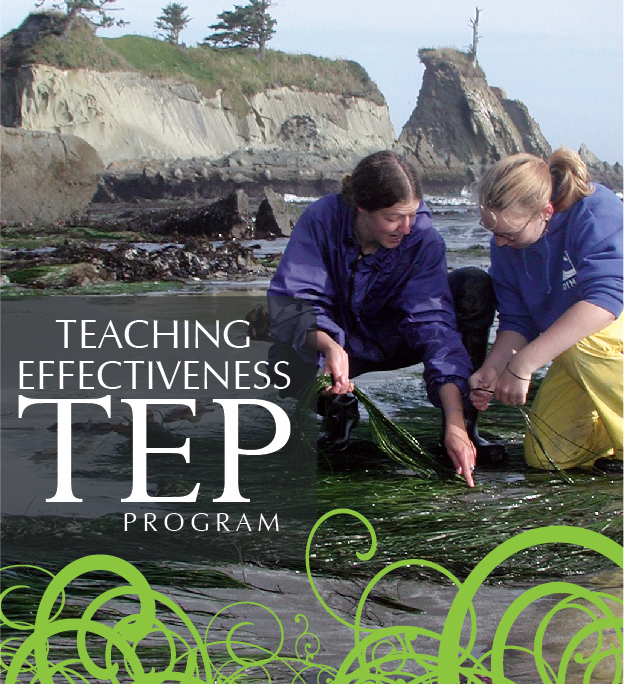 The Teaching Effectiveness Program (TEP) aims to be a driver of innovation and excellence, giving faculty tools and confidence to try worthwhile teaching experiments, and also a resource for measuring the effects of those experiments on student learning and motivation. promote thinking and reflection about the best uses of technology in the classroom. A Faculty Fellows Program has begun to bring on board to TEP senior members of the faculty with distinguished teaching records for one- or two-year terms. The Fellows will host teaching-development programming and conduct teaching-focused research around their areas of interest. TEP has received a Williams Fund award to support their first Teaching Excellence Senior Fellow in the 2016 calendar year. TEP is enhancing its ability to pursue teaching and learning research to help shape policy, inform campus-wide and even national conversations, and ensure faculty have the information they want in order to achieve the student learning outcomes they care about deeply. TEP has created Graduate Student Teacher-Scholars positions that will bring graduate students into their ranks for pedagogical training, to do consultations with other graduate teaching fellows and, most intriguingly, to work with TEP to design and implement pedagogical-based research projects. The first Graduate Student Teacher-Scholar joined the staff in January 2015 and two more GTF peer mentors have been funded for AY 2015-16. TEP is forming Intentional Working Groups to support longer-term commitments to faculty communities of interest like the current TEP-CMET-Yamada Language Center co-led Working Group on Active Teaching and Learning. The current group, funded through pledges from Academic Affairs, the College of Arts and Sciences, and Undergraduate Studies, provides $1K stipends for each of 16 participants. In two years of application cycles, they have drawn 67 outstanding applicants from every rank and more than two-dozen different departments. 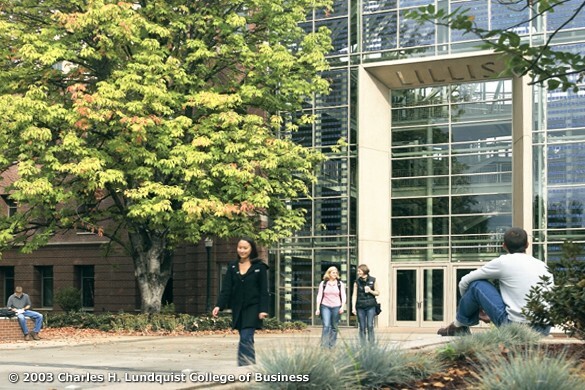 In addition, TEP is working with Academic Extension and CMET to create a faculty-training program to support high-quality teaching online for a cohort of faculty from the Lundquist College of Business. The training will launch in Fall 2015 will be co-taught online and in facilitated face-to-face workshops, modeling best practice, especially around creating engaged, “personable” courses and sophisticated course activities that sophisticated course activities that insist on students’ higher-order thinking. 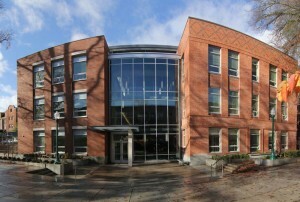 UO Information Services is located in 151 McKenzie Hall. 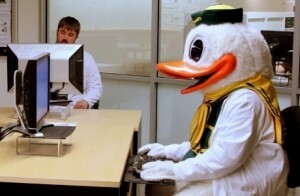 Duck gear optional. Information Services (IS) is the central technology department at the University of Oregon. 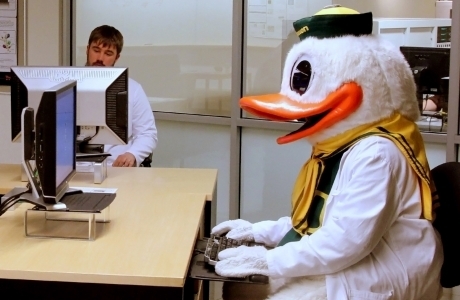 It provides campus-wide email, calendaring, Duck ID account management, wired and wireless networks, telephone service, and site-licensed software. 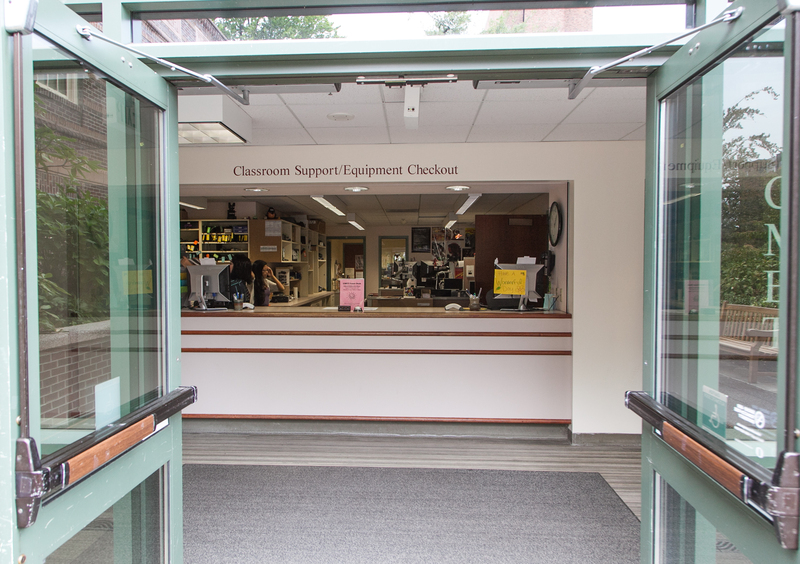 IS serves students, faculty, and staff through its Technology Service Desk, which offers campus-wide software and hardware support. At UO, IS administers the EDUCAUSE Center for Analysis and Research (ECAR) surveys on Faculty and Information Technology and on Student and Information Faculty. The national results of these survey provide useful insight into the attitudes and interest of faculty and students about educational technology, within larger perspectives about the informational technology environments of US institutions of higher education. 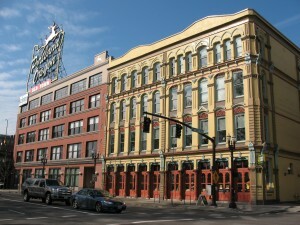 UO’s Portland campus is the White Stag Block, located at 70 NW Couch Street. 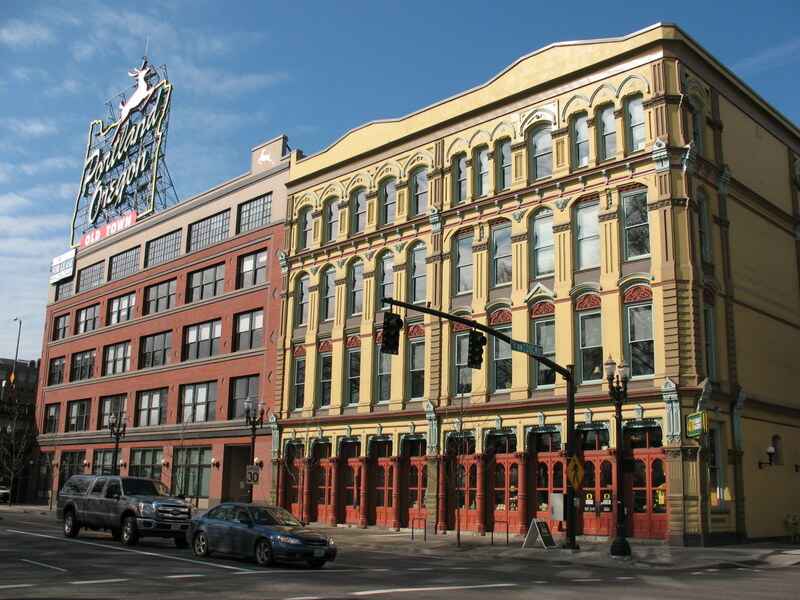 Academic and community programming offered at the White Stag Block in downtown Portland is supported by staff from Academic Extension, the School of Architecture and Allied Arts, the School of Law, and the Lundquist College of Business. On-site technology support is provided through Portland’s Library and Learning Commons. Workstations, a computer classroom, and large-format printing and scanning services are available. Educational and event video conferencing and streaming services are available between White Stag Block classrooms and remote locations. 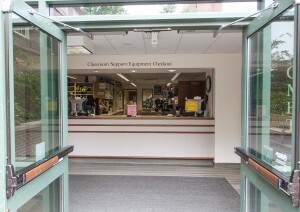 Classroom technology is arranged as needed as part of UO Portland’s course planning process, and should be coordinated through Academic Affairs and Administration. Part of the Emerald Media Group, VentureDept has offices in the EMU, Room 300. 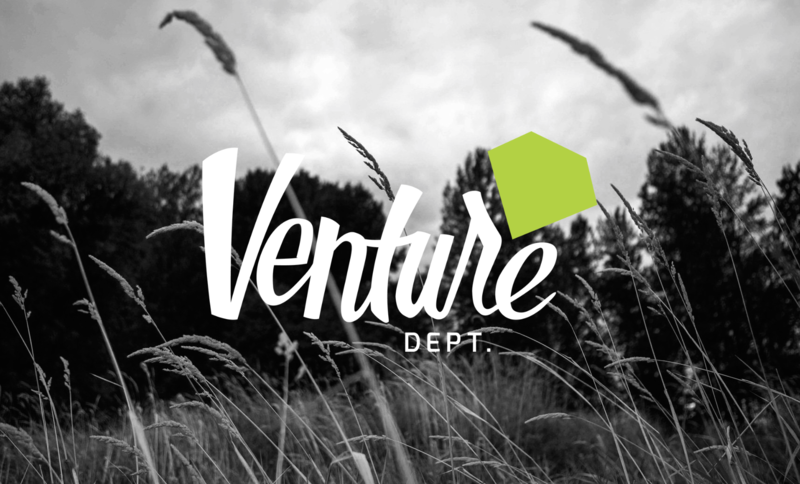 VentureDept is a student-run group providing media production services for a fee to UO students, faculty and staff. They specialize in student-oriented media projects, with a professional approach in Eugene and Portland. See their website for examples of their work. The YLC provides technology training and support for language teaching and learning. 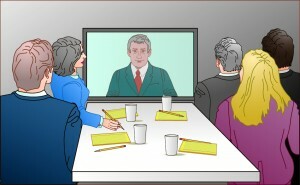 Web-based tools for language study include a virtual language lab, from which video and audio can be streamed to computers or mobile devices, and access to Blackboard Collaborate for distance education initiatives. 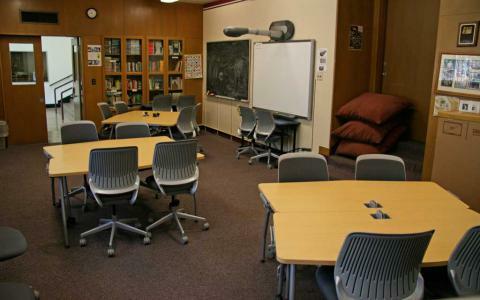 YLC manages five media-rich classrooms and maintains a lending library of devices, peripherals, and media. YLC serves faculty and students in Romance Languages, East Asian Languages and Literatures, German and Scandinavian, Russian, East European and Eurasian Studies, Arabic Studies, Judaic Studies, Linguistics, and the American English Institute. YLC has developed and deployed ANVILL-LTI, a web-based virtual language lab service for language teachers, optimized for both desktop and mobile use, and works closely with campus partners to develop Active Teaching and Learning spaces and activities. YLC also partners with the UO American English Institute to offer two MOOCs through Coursera under a contract with the U.S. department of State.